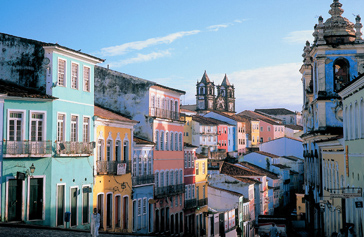 Brazilians often say they live in a continent rather than a country, and that's an excusable exaggeration. The landmass is bigger than the United States if you exclude Alaska; the journey from Recife in the east to the western border with Peru is longer than that from London to Moscow, and the distance between the northern and southern borders is about the same as that between New York and Los Angeles. Brazil has no mountains to compare with its Andean neighbors like Peru, and Argentina, but in every other respect it has all the scenic - and cultural - variety you would expect from so vast a country. These difficulties, however, rarely seem to overshadow everyday life in Brazil. It's fair to say that nowhere in the world do people know how to enjoy themselves more - most famously in the annual orgiastic celebrations of Carnaval, but reflected, too, in the lively year-round nightlife that you'll find in any decent-sized town. This national hedonism also manifests itself in Brazil's highly developed beach culture; the country's superb music and dancing; rich regional cuisines ; and in the most relaxed and tolerant attitude to sexuality - gay and straight - that you'll find anywhere in South America. And if you needed more reason to visit, there's a strength and variety of popular culture, and a genuine friendliness and humor in the people that is tremendously welcoming and infectious. São Paulo’s capital is a place full of surprises. Is faraway from the time when it was just called as the raining “Terrada Garoa”, the working, and concrete city. The capital is a another monumental place with tons of options for tourists, where there are some places you have to visit when you are there. 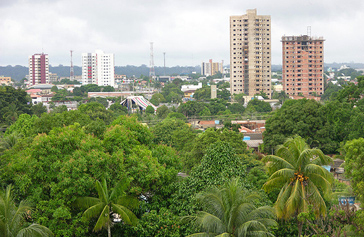 The “Bela Vista” (Italian neighborhood), the “Liberdade” (Oriental neighborhood), and other commercial streets such as: March 25 (Arabian) and “José Paulino”. At these places you will have a good notion of the variety of immigrants that came to install their selves to help the development of the city even more. 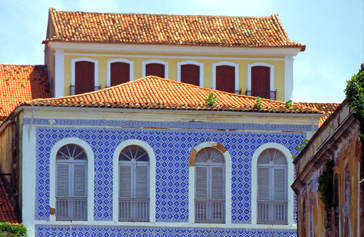 The intense cultural life of São Paulo received a major boost during the 1920s when it hosted the Modern Art Week, the landmark for a movement to encourage renewal within Brazilian art. Nowadays, that dynamism is expressed in the capital's well-appointed museums, the range of options offered and a certain guarantee for artists that to achieve success in São Paulo signifies general acclaim. 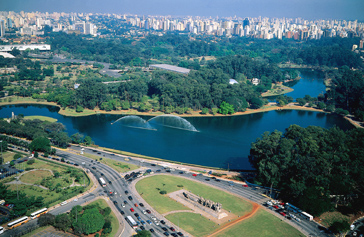 In the state of São Paulo, leisure is as varied as job opportunities, especially in the capital where there are many options to suit all tastes and budgets. There are a number of options ranging from exhibitions and open-air shows to museums with theatres putting on highly sophisticated performances. And as paulistas also have the right to enjoy life, their capital city has a range of restaurants running from the simple and delicious to establishments that equal the sophistication of the best anywhere in the world. 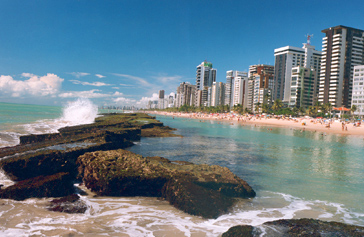 With an extensive shoreline and a constant year round temperature (around 25° C/ 77° F), Salvador is an innovation to outdoor leisure activities. 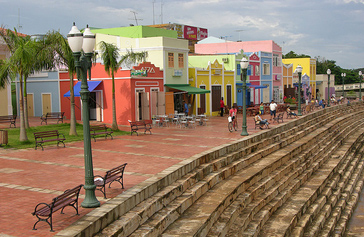 The city’s tropical climate is enhanced by steady gentle breezes blowing the Atlantic Ocean and the All Saint’s Bay. With approximately 50 Km of beaches and one third of the shore of the All Saint’s Bay, Salvador is the ideal location for relaxing seaside vacations and the practice of water sports. 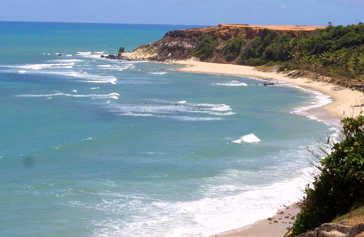 Known as the “Brazilian Polynesia”, Praia do Forte has so many leisure option that is hard to know where to start. There are 12 kilometers of beaches surrounded by dunes, coconut groves and tidal pools. 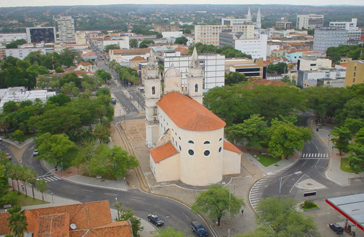 Some attractions are: Garcia D´Ávila Castle Historic District, Sapiranga reserve, Pojuca river rapids, and a fisherman village that welcomes the visitors with open arms. 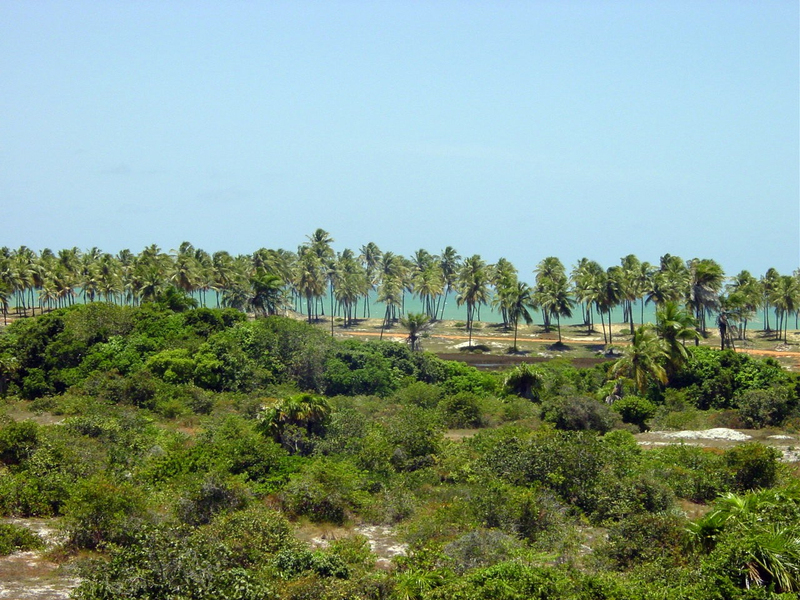 Besides all that, Praia do Forte also offers an excellent infrastructure.